​Rowena Cory Daniells writes the kind of fantasy books that you curl up with on a rainy afternoon. Her best-selling trilogy King Rolen’s Kin,was shortlisted for the Inaugural Sara Douglass Book Series Award. Her fantasy trilogy, The Outcast Chronicles, was shortlisted for the Hemming Award which is given to mark excellence in the themes of race, gender, sexuality, class or disability in Spec Fic. 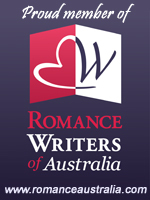 Rowena also writes short stories (The Giant’s Lady won the Fantasy Short Story Aurealis Award 2014), children’s books and noir-paranormal-crime (The Price of Fame). ​She lives in the wilds of Tasmania.